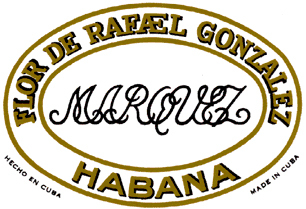 Discount Rafael Gonzales Cigars cigars store have the lowest online prices on cheap cigar. The first remarks on this brand date back to 1936 when it was registered under the name La Flor de Marquez. It was object of a relaunch in style in Spain, to become a highly popular brand in the important Spanish market. This is a premium, mid-strength cigar presented in very beautiful and pleasing wrapper colors.